Retractable rollerball pen offers a retractable, sleek design and patented Precise Needle Point Technology. Unique liquid ink formula is airplane-safe and maintains consistent writing strokes. 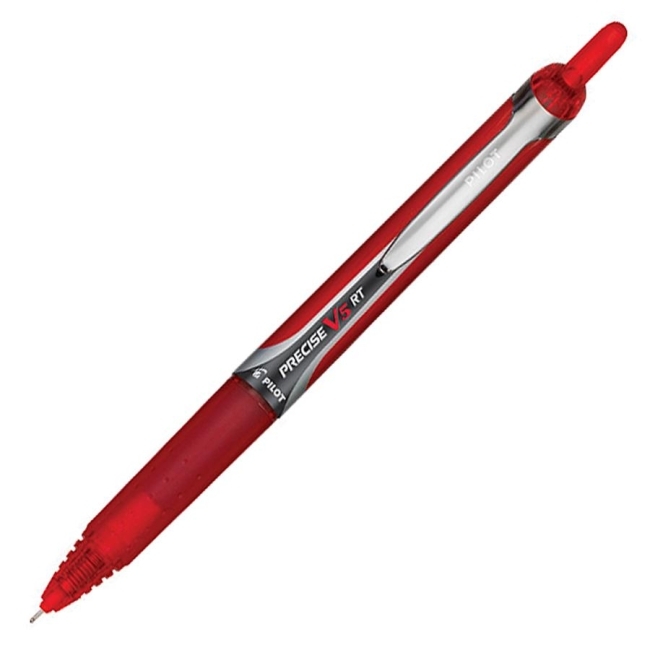 Rolling ball pen has a rubber grip with traction pockets for a secure hold. Visible ink supply lets you see how much ink is left.